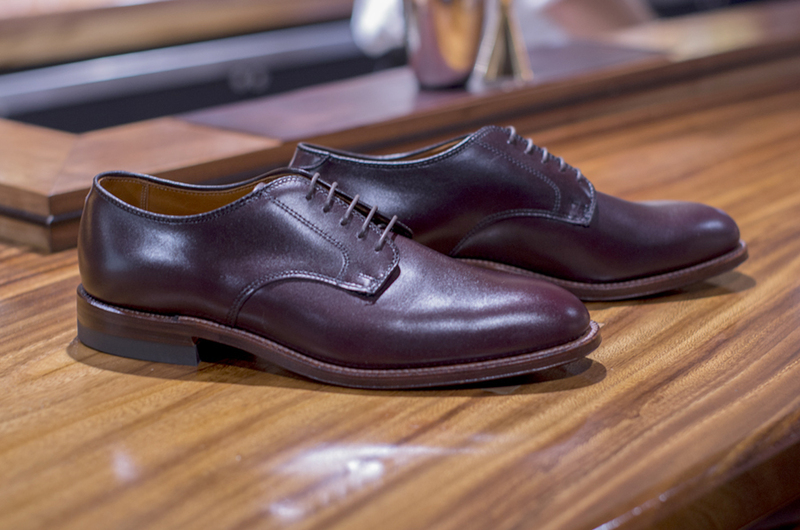 Our first collaboration with Tom’s new bar, Bar Leather Apron, is BLA01, a Hampton plain toe blucher in burgundy dress calf. We designed this shoe to match the style of BLA, classic with modern elegance. The plain toe design was chosen to accentuate “bar patina,” alcohol spills and water spots. The oiled waterlock sole helps on wet floors while the Goodyear rubber heel adds comfort for 14 hour days on your feet.